While our last post explored what happens when your ex violates the Divorce Judgment, what happens if everyone is following the agreement perfectly, but one of you has clearly got an advantage? A common complaint that potential clients express to us is a dissatisfaction with their prior agreement or judgment because their ex-spouse seems to be doing very well. They might have a bigger house, or take a lot of vacations, or have a really nice car. In some cases this is a legitimate indicator that a support order may not be fair, and in those cases a Complaint for Modification may be warranted (our next few posts will address when this is appropriate). However, many times this imbalance reflects something which can’t be fixed by a Complaint for Modification. In some cases exes have not fully accepted the divorce yet, and comparing your lifestyle to your exes is an indication that you haven’t yet moved on. Even with a well-crafted agreement your life is unlikely to turn out exactly equal to your exes. Many couples divorce because they have different views on finances and in these cases usually one spouse is good at budgeting and the other is not. Divorce doesn’t change these habits, and a spender will still be a spender and a saver will still be a saver. A few years after a divorce, these different habits will become evident in the lifestyle of each ex-spouse. One of the consequences of separating your finances in the divorce is to give each person the chance to fail or succeed on their own, and if your ex has succeeded because they manage their finances better you have no legal (or moral) right to gain an ongoing benefit from that success. In other cases, the imbalance that has been created is due to poor choices that were made at the time of the divorce. Both you and your ex-spouse may be equally good at budgeting, but if you made poor financial trades in your property division then you may be feeling the consequences of that now. For example if you were divorced in 2004 (prior to the housing market crash) and you took house equity in exchange for your spouse taking other assets, then you probably lost out on that deal. Your ex might still have close to their original value of assets, while you are left with little to no home equity. I have often tried to explain to divorcing clients that trading one type of asset for another often has both tax consequences and risk/benefit consequences. Pinning one’s hopes in the housing market for their retirement is not always the best idea (especially not right now). However, many people still choose to trade different types of assets, in order to meet a non-financial goal, such as being able to stay in their home. Once a property division is completed, these types of decisions, and their consequences, cannot be revisited. The importance of understanding your property division and its potential consequences is one of the most important reasons to consult with good legal counsel, and oftentimes with financial planning experts as well. 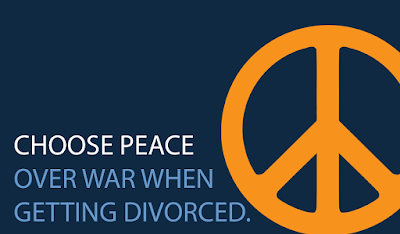 Click here to learn more about crafting appropriate Divorce Agreements. Sometimes that's the worst thing in a divorce when some financial issues are been discussed and most of it is favorable in the opposing party.